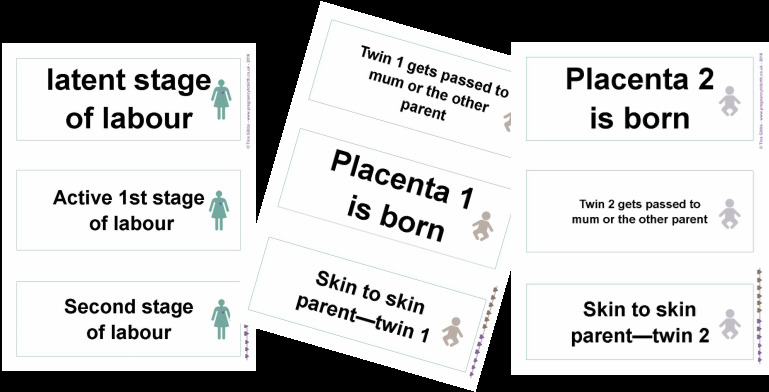 A card sort for twin-parents-to-be to explore possible time line of a vaginal twin birth. 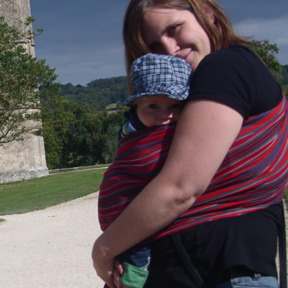 The facilitator can either print these on different colour card or paper (A4) or ask parents-to-be sort them by the pictures (mum, baby brown-ish, baby purple) on the cards. The activity will create one time line in words but it also shows what happens when to each person involved. This activity can be used in big or small groups and is also great for 1-2-1 sessions. The activity can be used on it's own or alongside one of my graphic labour time lines (print-your-own pdf or banner).